A line of field-replacement CO2 optics for lasers that cut composites for making precision gaskets where smooth edge definition is required is available from Laser Research Optics of Providence, Rhode Island. 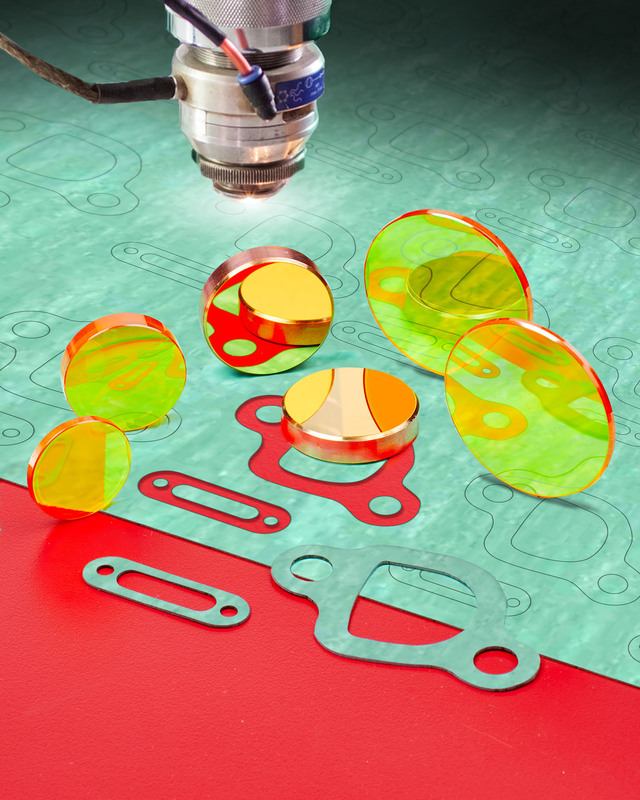 Laser Research CO2 Laser Optics include ZnSe lenses and mirrors which are direct field replacements for popular lasers used in manufacturing gaskets from composite materials that require smooth, precise edge definition. Optimized for use at 10.6 microns, lenses are offered in 1” to 1.5” O.D. sizes with 1” to 12” focal lengths and are available with dual-band anti-reflective coatings to aid in system alignment. Conforming to OEM and ISO-10111 specifications, Laser Research CO2 Laser Optics are in-stock for overnight shipment. The CO2 laser mirrors are 0.5” to 10 mm thick; made from silicon and copper. CO2 lenses and mirrors are available for Amada®, Cincinnati®, Coherent®, Epilog®, Mazak®, Synrad®, Universal®, and similar lasers. Laser Research CO2 Laser Optics are priced according to configura-tion and quantity. Price quotations are available upon request.